Granny's sunday fest - every day! The Kartoffelkiste or potato box in english has resided in the Europa-Center for over 20 years. The restaurant is located in the center of Berlin, right next to Kaiser Wilhelm Memorial Church, Berlin Zoo and two minutes walking distance to the famous department store KaDeWe. Kartoffelkiste is just the right place to recover from a shopping tour or an exploration of the Berlin Zoo and Aquarium. We offer german cuisine, homemade and seasonal, including favourites like the huge grilled pork knuckle or the famous Berlin curry sausage. We are serving several beers from tap. We would like you to explore our menu on the following pages, you can also download it in english, russian, french, italian and spanish. We accept american express, visa, mastercard and maestro. Granny's sunday feast - every day! Here you can comfortably make a reservation online. 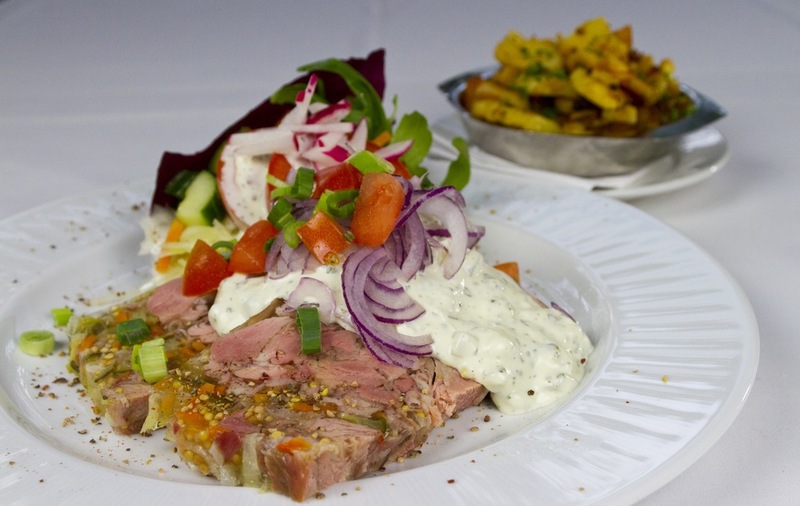 You can also reach us by phone +49 (030) 2614254 oder Email (info@kartoffelkiste-berlin.de).